This month has predictably started in a less than pleasant way. Here I was thrilled to have passed a winter without getting sick, ready to ride out the good fortune until Spring and yes, that’s where it went all downhill. Note to self, never think you are invincible or gloat in the fact that the influenza, in all of its nasty, evil forms, hasn’t hit you yet. Because you aren’t. My tragic version was the all-dreaded stomach flu turned regular flu one evening after going to the gym and it hit me like a ton of bricks. Only now am I starting to feel like a human again, thus getting back to essential life matters such as responding to work emails, cleaning myself, and updating this blog. February in Florence, if you don’t get the damn flu, is going to be a good one. Carnevale has always kicked off but there will be a fair amount of celebrating here in the city or a historic one in Viareggio (go, because if you haven’t yet experienced a Tuscan coastal carnival that has been running for 145 years you do not know what you are missing), this in addition to so many other events I am badly looking forward to. Exhibits at Bardini museum (one coming up for Harry Potter/Pinocchio) fans, a Chianti wine-tasting fair (because – yes), Black History Month in Florence, the first-ever Storytellers at Todo Modo (so excited!) and so, so much more. As usual, if I forgot something, let me know. Also if you are feeling generous with carnival treats such as schiacciata alla fiorentina, help a sick-sister out and bring them to the Oltrarno (jk), I am in bad need of food that is not of the banana or applesauce variety. I’m breaking up with those two food fruits as of today. If you missed it, my friend Alexandra Lawrence and I did a walking tour of the Loggia dei Lanzi in Florence last week in a 40 minute video on Facebook live, you can watch the playback here. Our next video tour is planned for February 8th, 2pm, discovering Piazza SS. 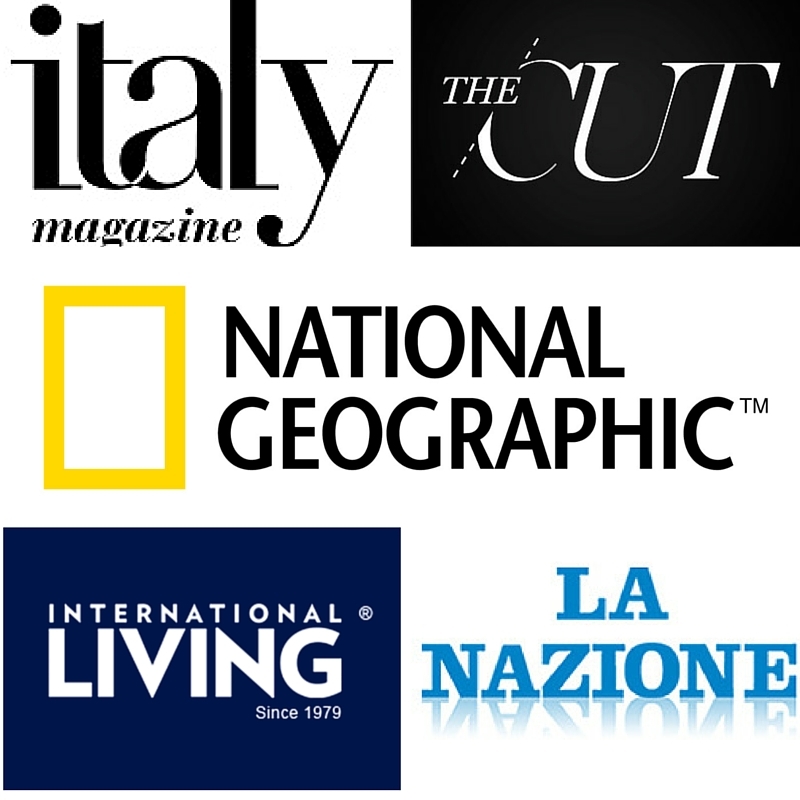 Annunziata, you can join the fun, say hi, and ask questions (here’s where to watch)! Another small Italian town has come up with the “we’re selling houses for 1€” gimmick and this time it is on the island of Sardinia in the small mountainous village of Ollolai. It actually sounds like this time the major means business and those interested will have to invest in renovating an ancient property. My friends and I have all been obsessed with Guardian food writer Rachel Roddy’s epic winter tomato sauce. Ps. Here’s what I did with the leftovers. Ok this article is from last year but in honor of Viareggio’s annual carnival, I do believe this photo essay is a worthy re-share. I am super thrilled that my pal and super food writer Coral Sisk has started to include recipes again on her blog and especially ones with a healthier take using ingredients you can find in Italy, like this buckwheat porridge breakfast bowl. With the obsession on social media in regards to how many “likes” someone has makes this New York Times article on the dark side of social media one we should all read. Radicchio is a beloved winter ingredient and if you want to fall in love with it even more, you need to read this recipe for radicchio, marscapone and walnut creme by Emiko Davies. Looks heavenly. Unesco’s Creative Cities Network initiative is going strong, despite U.S. plans to pull out of the organization (ugh) and I love how they are giving a new lens to destinations. Ps. San Antonio is on the list! On February 2nd, my favorite healthy cafe, Il Carduccio, will be hosting an event “Vini & Vinili alla Roulette” combining tasting pairings and great music, the fun starts around 7pm. For adults who want to indulge in a little carnival-themed nightlife, nightlife spot Combo Firenze is hosting a “carnival party” on February 2nd with music from the 80’s and beyond inviting anyone to be as creative (or do nothing) as they want. The fun kicks off around 11pm. For those interested in Nordic Photography, don’t miss the “Norden: Man and Nature from Scandinavia and the Baltic Countries in the Photography of Luca Berti” exhibit showcasing a range of photos taken by Florentine artist Luca Berti in these Northern countries, the exhibition encompasses around 60 of Luca’s photos in total at Villa Bardini. I plan on checking it out before the exhibition ends on February 18th. Learn how to paint with coffee! This two-hour lesson on February 3rd at Brac Firenze (one of my favorite cafes/lunch spots in town) focuses on using coffee as “paint” as an expert will show you how to make this daily beverage into an artistic tool. Anyone can join and the cost of the lesson plus materials is 20€. For more info, email maham_315@hotmail.com. I am so very excited about the first ever Storyteller’s Florence edition this Saturday, February 3rd at Todo Modo. My friends Linda and Steve are bringing this beloved monthly tradition from Rome and we are all thankful for it. The format is simple, typically 6-8 storytellers share a story on a monthly pre-voted topic. This month’s theme is “turning point.” The fun starts around 7pm. Relax Firenze is hosting a “pamper day” for kids at their wellness center on Via degli Strozzi on February 3rd, a Saturday. Imagine an entire day of pampering dedicated to families, I love this ideas! You can see what they offer and what you can book here. Black history month in Florence was started in 2016 with the aim not just on African-Americans, but on communities from Africa and its diaspora in Florence and throughout Italy. Mary Gray from The Florentine has done a wonderful job on laying out what’s on store this month and it all sounds extremely interesting. Two notable upcoming events include a photography exhibit on February 2nd at the former convent of Sant’Orsola and the Abolitionist tour on February 12th. First free Sundays is something I have been including in every monthly lineup because how amazing is it that in a city with so many museums, they offer at least one day where you can visit some of the most important places in town, for free. This month’s free museum Sunday falls on February 4th. I recommend visiting lesser-known but incredible places like the Bargello Museum as opposed to the always crowded Uffizi. Residents instead can enjoy additional free entrance to city museums. More info can be found here on which museums are free and open. Learn how to make beautiful prints out of blocks with this special textile workshop at MK atelier studio (amazing) in Florence on February 9th. Block Printing Workshop + Aperitivo will set you back Euro 30 (includes workshop + snack \ wine ) Places 6-8 . Four times a month there is a morning market in Florence’s largest outdoor park, Cascine, every Tuesday from 7 am – 2 pm. You’ll find everything from underwear to food stuffs in this very expansive market affair. The location can be found along Viale Lincoln. The wonderful team of Relax Firenze, wellness studio located near beautiful Piazza della Repubblica, is hosting a workshop designed to deepen the relationship between your body and the inner world on February 10th. Carnival season is upon us and while Florence definitely isn’t as wild as Venice or Viareggio which are well-known for their spectacular carnival displays, there will be a children’s carnival on February 10th at Piazza Ognissanti at 2pm. Another option is to head to Calenzano on the following day, the 11th, for a special Medieval carnival parade which will start around 1pm in Piazza del Comune. My friends over at Officine Nora are hosting a special “Craft your love a Valentine” workshop on February 10th from 3-7pm at their studio near Santo Spirito Square. This is a fun chance to see what they do and make something special for a loved one instead of buying it. Email them to find out more info including cost and what to bring info@officinenora.it. 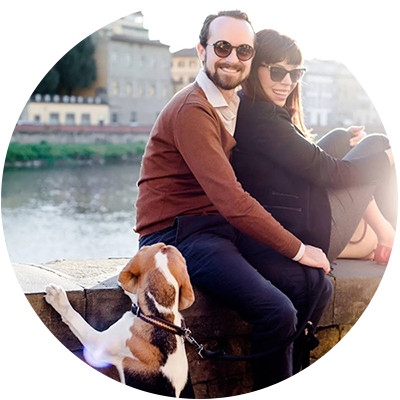 Love and wine pairs pretty well together so grab a loved one and head down to Fortezza da Basso on February 11th for Chianti Lovers, a wine-tasting trade show celebrating Sangiovese wines (over 500 versions to taste) from 4pm-9pm (when the event opens to the public). Admission costs 15€ and you can book your spot in advance. Coming to Villa Bardini from February 12th is a special exhibition called “From Pinocchio to Harry Potter. 155 years of Italian illustration from the Salani Archives since 1862.” There will be 300 documents of different types (1964-2012) on display describing a journey through the history of Italian illustration and its artistic values started by Adriano Salani through the first publications in the form of leaflets, booklets and archive documents and exploded with the worldwide success of the Harry Potter saga that was brought to Italy by this publishing house. This definitely sounds interesting and i look forward to when the website gets its act together and updates to show this new exhibit. ;-). The Showcase at SupeFox is back on Tuesday, February 13th and this edition’s featured artists are Friday Eghosa and Starzy, a Nigerian singer-songwriter duo performing works that draw upon a rustic folk-oriented reggae. It’s a fun event hosted by Patti DeRosa and is aimed at presenting the original works by artists and musicians. Open to all! A gluten-free dinner at Quinoa, a restaurant near the Duomo that loves to go over the top on themed holidays. 4 courses for 35€, including wine, water and coffee. Say screw it to Valentine’s day and join a fun group of people at this food workshop teaching you to “make your own ravioli” at The Food Studio in the Oltrarno. For 30€ you learn how to make ravioli, get to enjoy dinner together, wine and a multilingual meet up. That sounds pretty awesome to me. I got the nicest email from a lovely woman named Tessa about a free concert by high school students at Santo Stefano al Ponte (consecrated church by the Ponte Vecchio) on February 15th that I of course had to add to this list. The concert will be by The Langley High School Band from Virginia, USA and the repertoire will include works from Albinoni, Rossini, Puccini, Vecchi and more. The fun starts at 6:15pm and will last for one hour. Email concert@wenstravel.com to ensure you nab a seat. Until the nineteenth century, the Rificolona farmer’s market was traditionally held in Piazza SS.ma Annunziata on the occasion of the birth of the Virgin Mary. From 1984 onwards this tradition has seen a revival and nowadays multiple ‘Fierucole’ are being held every month, dedicated mainly to small-scale organic farming, crafts and rural life, involving small family farms and local artisans. 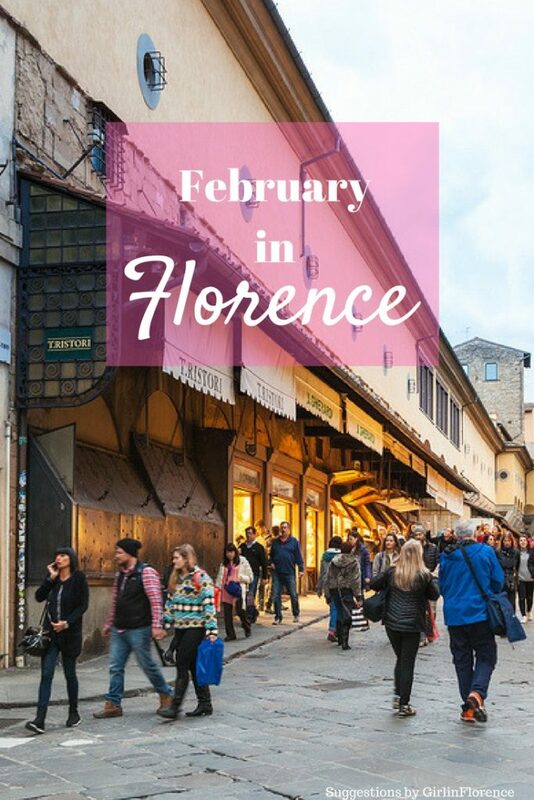 This month head to Piazza Santo Spirito on the 18th of February for a peek into one of my favorite, and most traditional, local markets where you can buy organic honey, kombucha, parmesan cheese, balsamic vinegar and much more. February 18th marks the 275th anniversary of the death of Anna Maria Luisa de’ Medici, the last descended of the Medici family who was a notable patron of the arts and thus bequeathed the entire Medici art collection of the Uffizi to the Grand Duchy of Tuscany with the condition that it must be available for public use (awesome). Now the city celebrates her honor and generosity by opening up the city’s state museums to the public on the 18th, including the Palazzo Vecchio, Santa Maria Novella church, Brancacci Chapel, Bardini, Museo del Bigallo, Medici Chapels and at the Palazzo Pitti (not a civic museum) there will be several performances in Anna’s likeness in the Palatine Gallery. SACI’s graduate students will open their studios to the public at the Jules Madoff Palazzo on February 20th, 7:30-9:30pm. Meet with the artists and see the work they’ve developed after one and two years of working in Florence. Refreshments will be served. From the 22nd to the 25th of February get ready for Danza in Fiera at the Fortezza di Basso (not far from the station), an unmissable event for lovers of all things DANCE. This multi-day event is a showcase for all types, styles include classical ballet, hip-hop, swing and ethnic dances and you can expect workshops, lessons, performances, exhibitions. The perfect winter activity is a trip to the trusty cinema, in my case our beloved original-language theater Odeon which is back on track with a superb list of options. And there is plenty to see this month including Downsizing, The Shape of Water. check out the program until March here Price: 8 euros for a normal ticket. Ps. Enjoyed this post? As always, I appreciate your support and comments so please share this article with anyone you think could benefit from a friendly-Florence roundup and I’ll be forever thankful! I also included a Pinterest-friendly pin here. 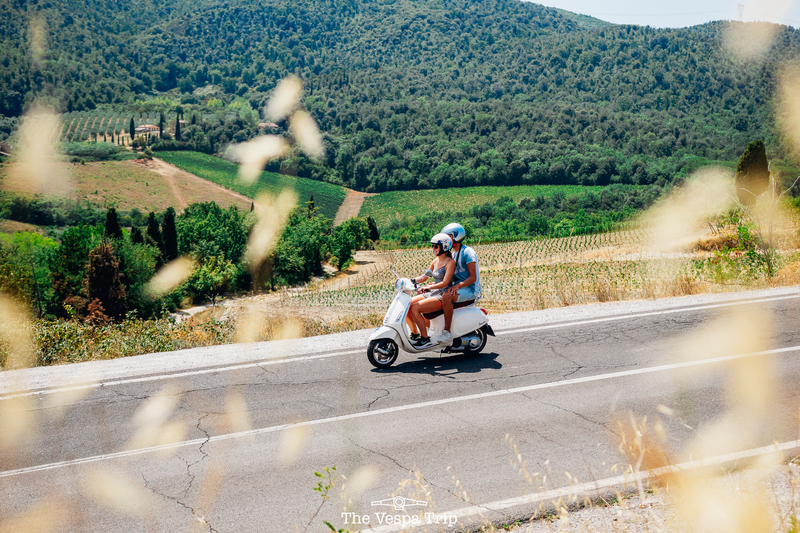 The Vespa Trip: Embark On Your Own Italian Road-trip on Two Wheels! Ciao cara Georgette, grazie mille for the always appreciated “great month” post and so glad that you are feeling better! Riguardati perchè questa influenza e diabolica!! This strain of flu is diabolic! Abbraccioni. Ciao Olga, thank you! I do feel a lot better now but unfortunately I have seem to infected my poor husband. You are right that this strain of flu is quite scary, I definitely hope we’ve seen the worst of it. Hope all is well with you! PS in case you are not familiar, wanted to mention for your calendar that for anyone wanting to come for a little drive in Chianti, the “Parco Sculture del Chianti”, near Pievasciata, is open (daily from 10.00-17.00) in the winter! Below is the link in various languages, with all the information and how to arrive. This is a nice place to come for a walk, enjoy nature and the art work, and bring the children as well. In the summer there is every type of musical event with aperitivo! They also represent the design shop of the MoMA in NYC, and it is MoMA’S only point of sale in Toscana. You can see all the fun items they sell also online! That sounds really fun Olga, thank you for sharing!!! Thank You Shauna, I appreciate the support! Storytellers should be a lot of fun! Agreed! The first time I ever got the flu, I had JUST said to my hypochondriacal friend the night before, that I never take my temperature because I never get sick. Ugh. Worst thing EVER. Wish I could be over for all the festivities! How fun! We must learn from these moments Christina lol. Anyway I’ve decided that the flu shot was invented for a (good) reason. So lesson learned for next year. This month is looking pretty cool but luckily almost every month (except for August) is jam-packed with fun things to do! Hello Georgette, Love the piece about schiacciata. I have only known these as savory from travels to Siena years ago. The one in your blog looks delectable. Any savory versions in Florence? I will be traveling there in May. Ciao, ciao! The savory version is more like a salty bread but also very very delicious! You’ll find it at many “forni”(bakeries) here in town. I really like the one at Il Santo Forno on Via Sant’Agostino or C.Bio in Sant’Ambrogio. Mille grazie! Georgette, I will look for Il Santo Forno. Ciao for now………..
Ciao Dee. That does look to be an exciting exhibit to be be certain! It will be in the Bardini museum and it is close/adjacent to the gardens. Forte di Belvedere is a little further up from the entrance to Bardini gardens. You can do all three in one day absolutely but I unfortunately believe the Forte will not be open until June as per usual (i could always be wrong but I’ve never heard of it opening beforehand unless for a special event..). Hi Georgette thanks for the tip. It’s not my first time in Florence but first time coming in Feb, I hope I’ll love it as much as I did 8 years ago! 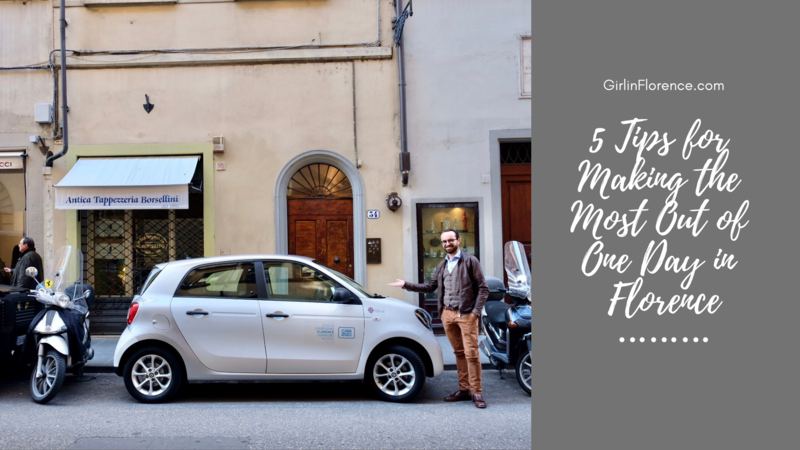 Love your posts about what to do each month in Italy! And fortunately, there is always something interesting and entertaining going on, even in the winter. Grazie mille! Thank you Kathryn, I appreciate you taking the time to leave a comment. I do feel fortunate that there seems to always be plenty to look forward to. You definitely don’t have to spend all winter at home here :). Hi! 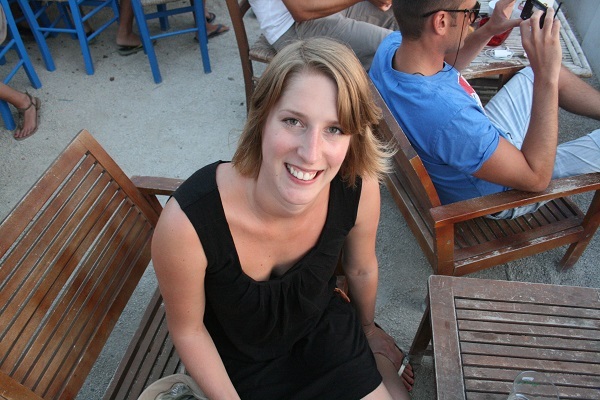 Your blog has been brilliant for organizing our trip this week to Florence. Thanks a million for so many great tips. One question-what time is the market on Sunday at Piazza Santo Spirito? Is there a recommended time to get/be there? Trying to organize around getting tickets for Uffizi and Accademia. Think we’ll do Accademia at end of day, but trying to decide if we should do Market or Uffizi first. Choices, choices! Ciao Joyce! There are a few markets, one of which is the second Sunday of the month (antiques) and the organic market on the third Sunday (coming up this weekend). I would head there anytime between 9-5pm and honestly it’s always a hive of activity. Regarding tickets you could also invest in the Firenzecard which includes a number of museums (like the Uffizi and Accademia and gets you in the faster line). Hi! I can’t tell you how much I appreciate your wonderful blog. It’s been invaluable in helping us plan our trip (leaving today woohoo!). I’ve bookmarked so many of your suggested places and can’t wait to check out this great city. Again, sincere thanks for putting all this great info out there. I am so very happy to hear that Joanna, really, and thank you for taking the time to comment. As bloggers sometimes we wonder if people like/care/see our content so every comment helps me stay motivated! Will be posting a lot in the next few weeks so enjoy! Ciao Georgette, Saluti da San Antonio. We will be in Florence over the Labor Day Holiday, May 1st. 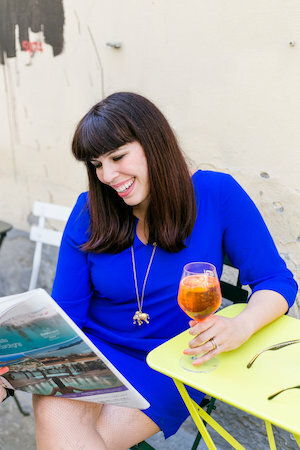 Ciao Georgette, thank you for sharing this article about things to do in Florence! I love the fact that you dedicated an article for the month of February, usually a lot of tourists will visit Firenze during the summer when in fact it’s beautiful all year long! I’m curious what to do for New Years in Florence! Also, what can I do the 1st once everything is closed. Anything I should expect Dec 31-jan 2? Ciao Loren. I have to be honest with you, I don’t “love” NYE in Florence because there isn’t a ton of great activities and events to choose from and people tend to go crazy with firecrackers in the street on the evening of New Years. The best way to plan it is to gather a group of friends and family and host your own awesome shindig at your apartment/hotel/villa. 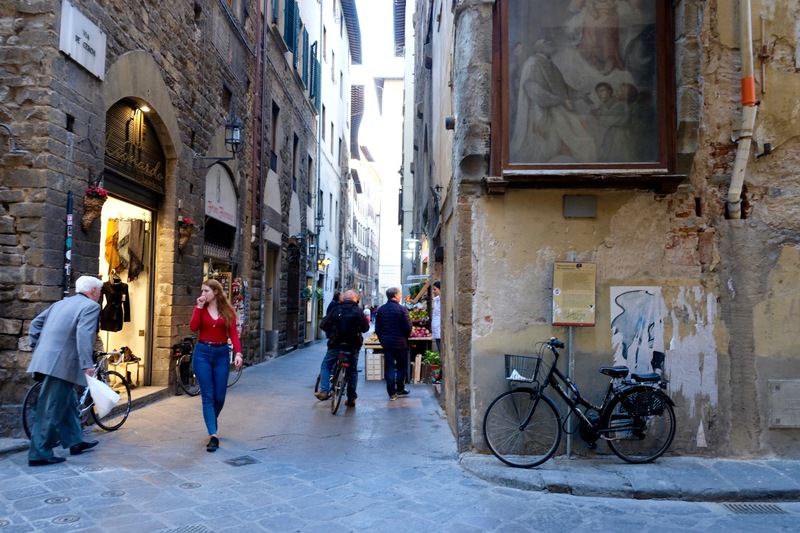 Everything will be closed on January 1st but in the center of Florence there will always be something open because well, they know people are spending the holidays there. Just know your options will be a tad more limited.